www.dedysoftgame.com - Free Download PC Game Ultimate Epic Battle Simulator - There are a lot of battles and troops you can design when you run. This is a unique game where you can design great epic battles between one troop with another. In this game you can create a bunch of troops in the middle ages against the army of World War II United States. There is no limit in this game, you can even make a bunch of chickens and Roman troops fight each other. 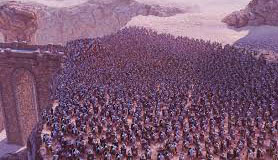 Not only people, you can even create an army of mythical creatures that you often hear in fairy tales or legends like Orcs, Trolls, etc. In addition, there is no limit amount in this game. 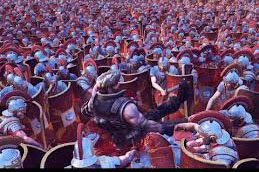 That means you can try to make any troops you want, for example 100,000 troops of knights or Roman soldiers. You can also play as one of the troop units in the simulator game you created. Gather teammates then give instructions to them. 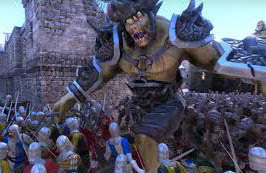 As the simulator is played, you can see the vast open arena of combat and the two armies fighting each other to death with each other using all kinds of combat equipment. Unfortunately, you will not get as much detail from each character as each individual fighting troop acts independently. So you will only see them killing each other freely in the Ultimate Epic Battle Simulator Game. Copy the contents of the Crack folder and paste it in the install folder of Ultimate Epic Battle Simulator. 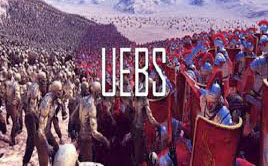 Right click on UEBS.exe then run as admin.